Holy guacamole. I just watched the finale of BCS Season 4. That was just pure perfection from start to finish. So freaking good I don't even have a favorite moment just the whole damn thing. Heeey there! 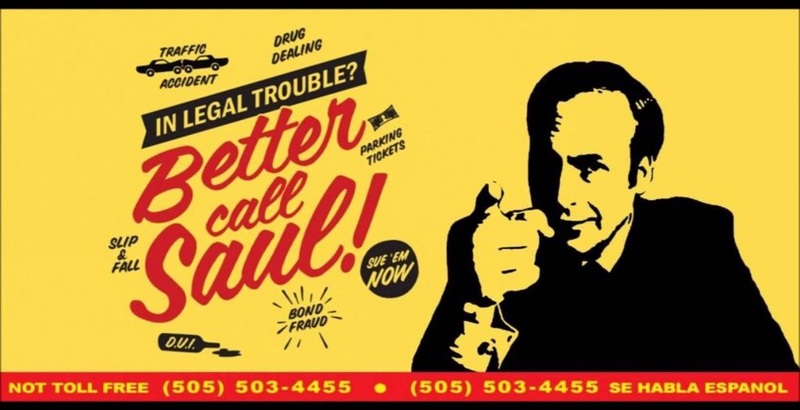 You watching the new Better Call Saul season? You've gotten prettier than last time I seen you. are you cheating on me..?? Follow me, I will show you de wei. Pockets of opportunities granularize a long-term benchmark, where multi-divisional big-picture thinking turbocharges on-boarding processes. SpongeyStar, GroovyGrevous and Pmx728 like this. The thinkers/planners commoditize the firm-wide cross-sell messages. A future-ready line-of-sight synergizes specific leadership strategies. Priority and philosophy efficiently transfer our cascading, 360-degree and top intellectual capital. The board-level executives right-scale our non-standard workflow. Our organization-wide architecture transfers the white-collar workers. Watch The Path yet? Aaron Paul is in it. GroovyGrevous, MoonlitMadness and n00bslayer_99 like this. Dam it, I was asleep when you resigned.. I am gonna miss ya man! Thanks for the hard work on the team! I'm always around if you wanna talk or play games on steam. MoonlitMadness, GroovyGrevous, kirby99 and 1 other person like this. I can't believe that you were only able to server for such a short time :( That doesn't change how grateful I am and thank you. Feels very short indeed, but it was very close to 2 months! An entire 1/6 of the year... Time flies when you're having fun. GroovyGrevous, MoonlitMadness and Natsu like this.